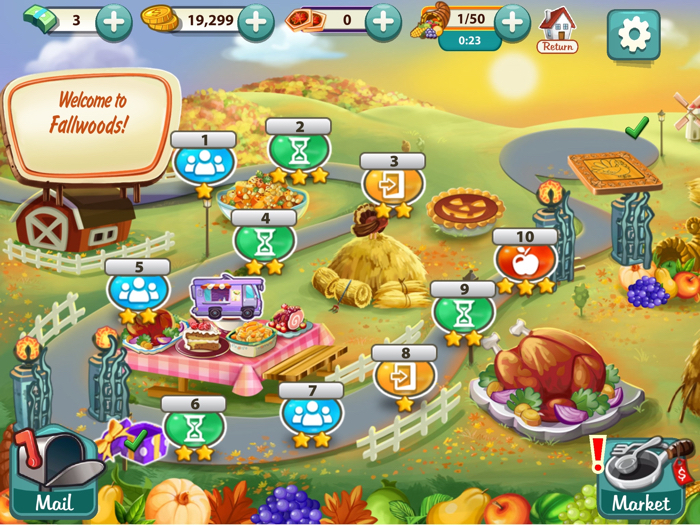 Fallwoods is an “extra” town in the Kitchen Scramble app. It appears for a limited amount of time. Players must complete it before time runs out. Fallwoods is focused on Thanksgiving foods. 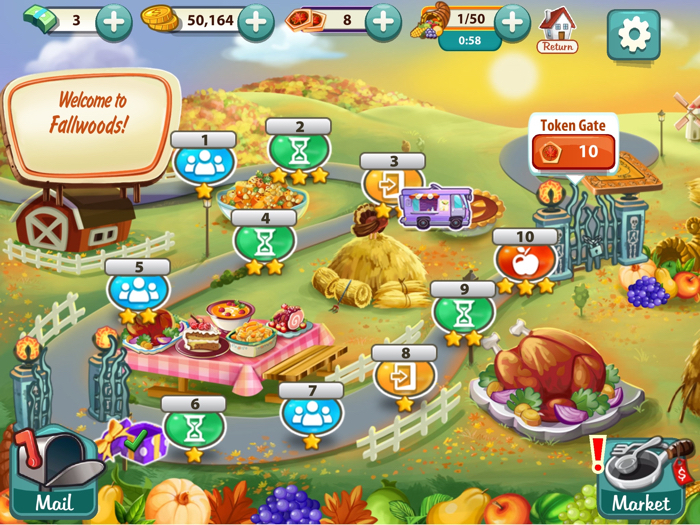 Players get an oppertunity to practice each one before starting a level. 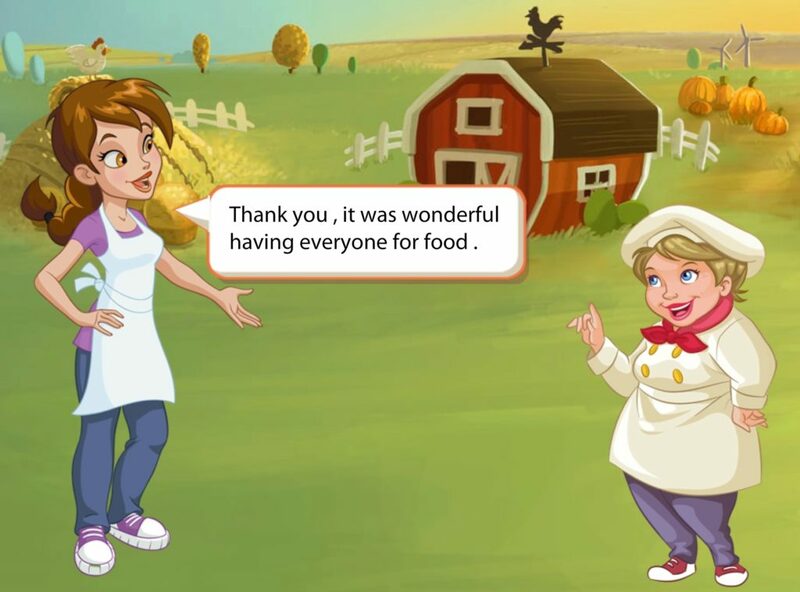 Those who make it all the way to the end of this town earn a unique appliance that carries over into the regular game. 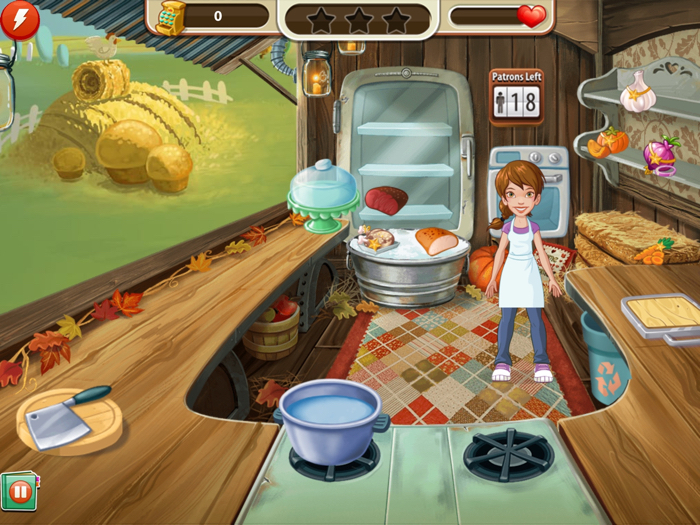 Chef Crisp: Play Fallwoods for a limited time only! 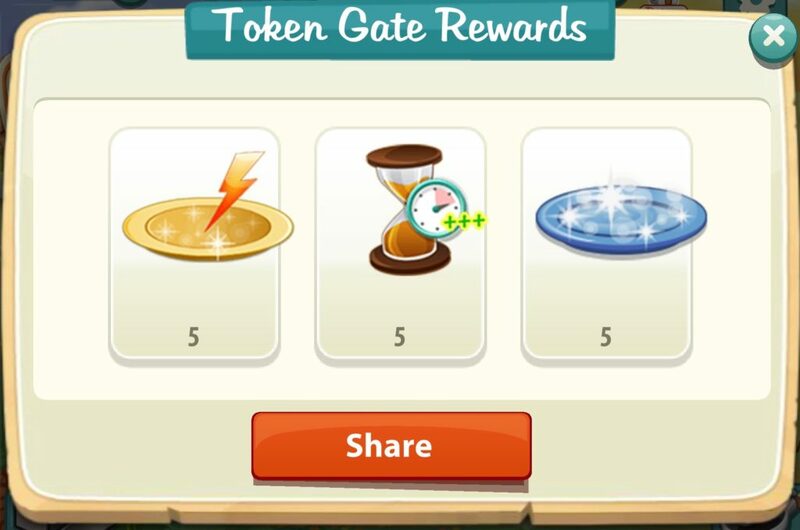 Earn special rewards, such as star tokens, power ups or boosts, and premium ingredients, by passing each Gate. If you pass the final gate, you’ll earn a unique appliance! 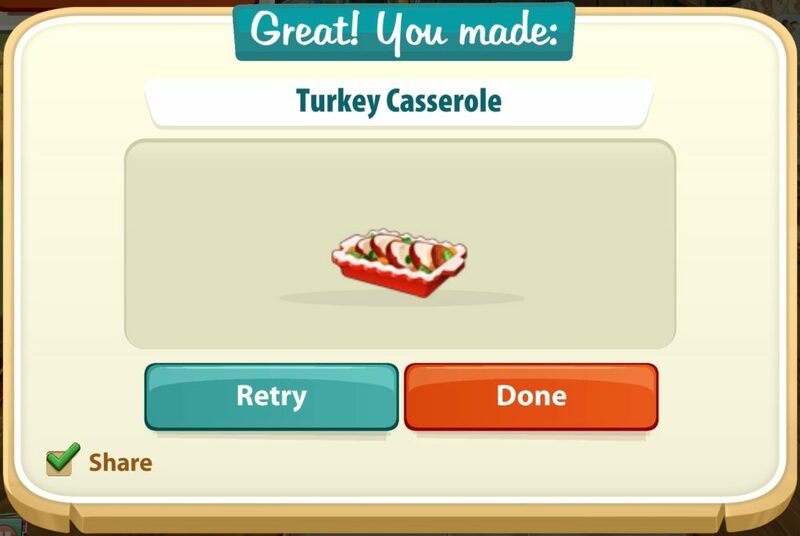 The first level introduces some Thanksgiving-related recipes. All of them appear in later levels of Fallwoods. This is what the inside of the food truck looks like in Fallwoods. I got one star in Fallwoods Level 1. Mother & Baby: Welcome to Fallwoods. Put on your fat pants Pepper. Time to get stuffed this Thanksgiving. 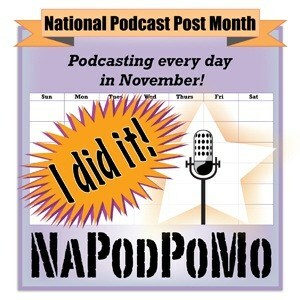 Pepper: I cannot believe we are almost there. I noticed that there is a typo in what Pepper says. Instead of “believe”, it says “belive.” No one caught that before this part of Kitchen Scramble was released. Pepper: I know both of us are very hungry, so how about some turkey? I will cut some into slices before we dive into main dish. There last sentence should say….”before we dive into the main dish”. Someone missed a word. 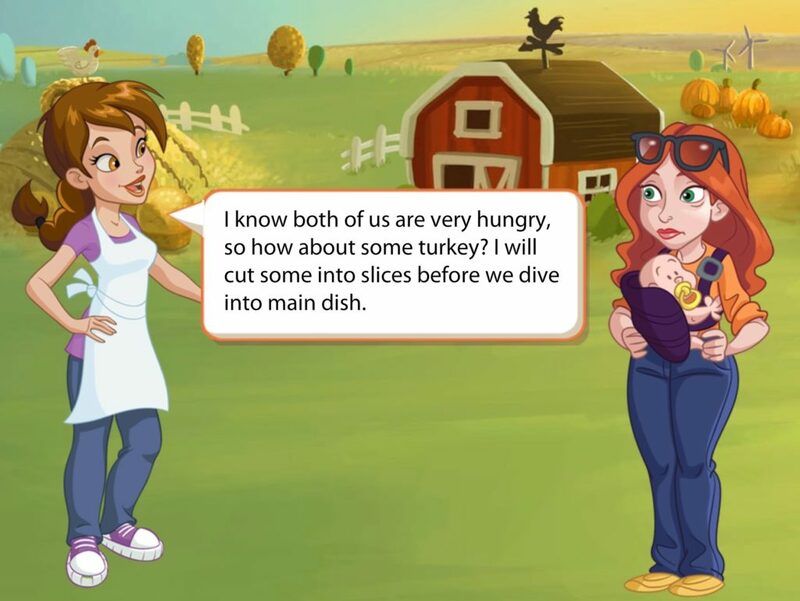 Mother & Baby: I am so hungry I could eat this whole dish of roasted turkey! 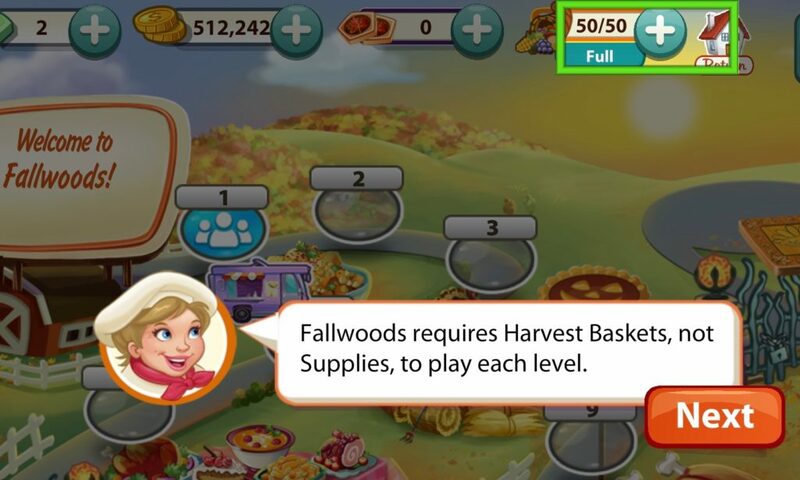 Chef Crisp: Fallwoods requires Harvest Baskets, not Supplies, to play each level. 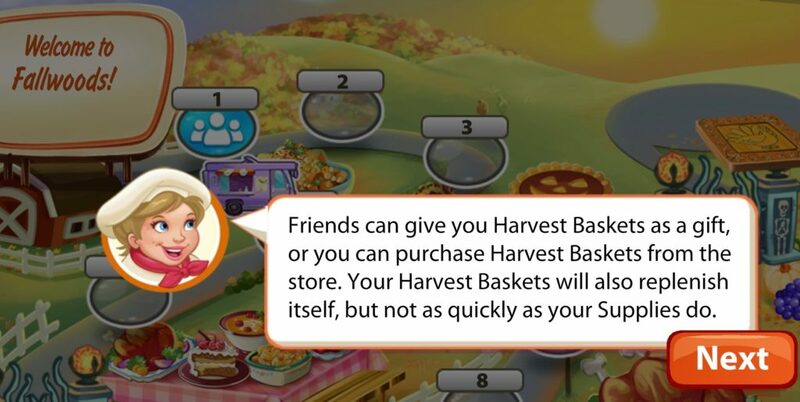 Chef Crisp: Friends can give you Harvest Baskets as a gift, or you can purchase Harvest Baskets from the store. Your Harvest Baskets will also replenish itself, but not as quickly as your Supplies do. 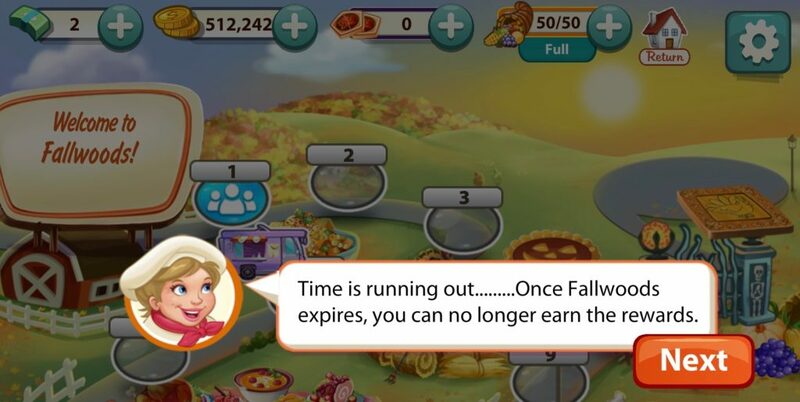 Chef Crisp: Time is running out……Once Fallwoods expires, you can no longer earn the rewards. I find it really strange that there is a big row of periods between the word “out” and the word “Once”. It looks like a typo, and is not necessary at all. Again, I wonder how fast this content was pushed through to the live game. No one edited it. 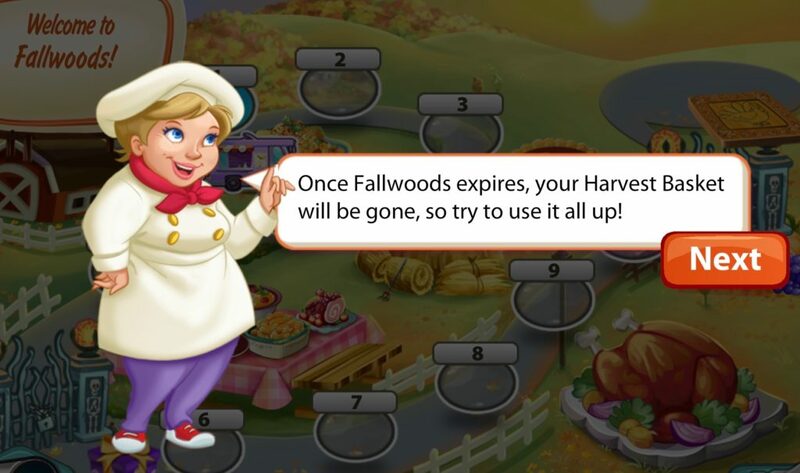 Chef Crisp: Once Fallwoods expires, your Harvest Basket will be gone, so try to use it all up! 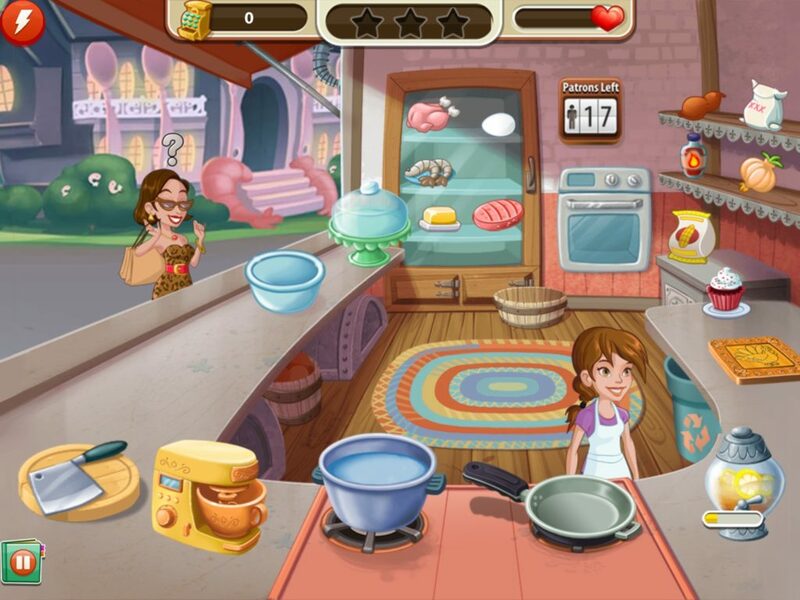 New recipes are introduced in Level 2. 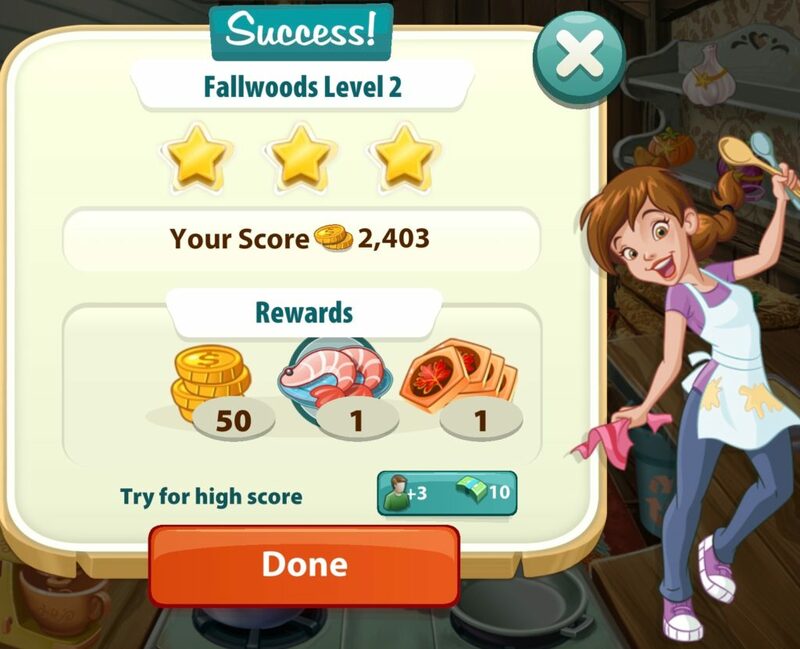 I got 3 stars in Fallwoods Level 2. More recipes were reduced in Level 3. 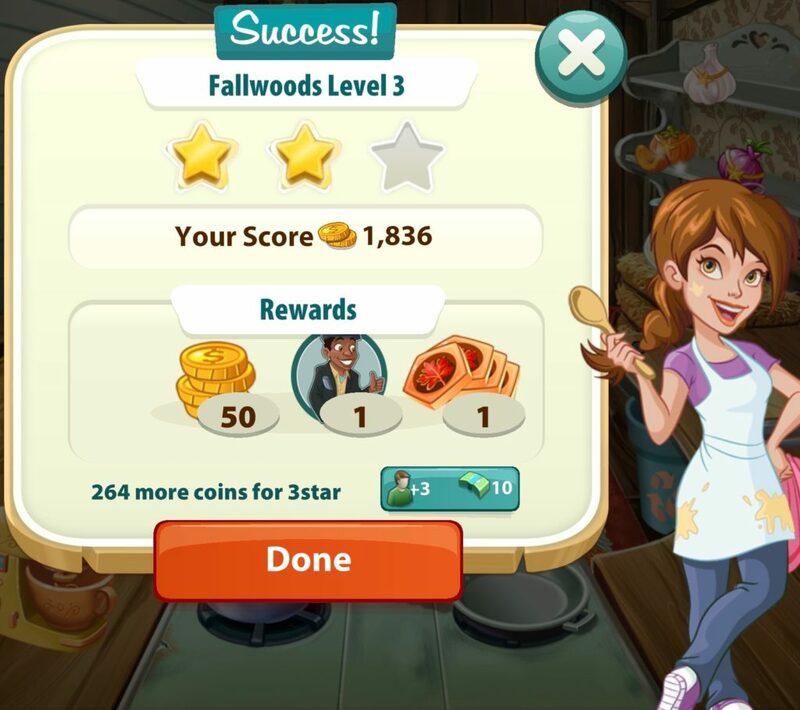 I got 2 stars in Fallwoods Level 3. Additional recipes appear in Level 4. I got two stars in Fallwoods Level 4. A few more recipes are added in Level 5. I got two stars in Fallwoods Level 5. 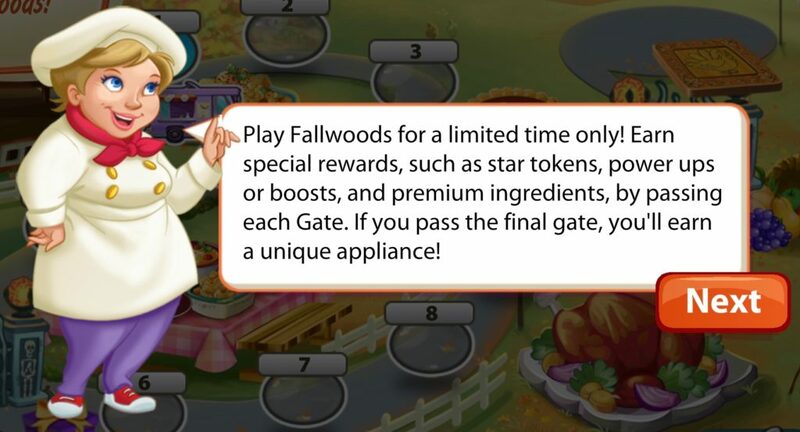 Players need to collect 10 special Fallwoods Tokens in order to pass through the first Token Gate. There is a present waiting for players who make it through Fallwood’s first Token Gate. All of these items are Boosters that help players get through the levels that they struggle with. I got 2 stars on Fallwood Level 6. The above screenshot might look a little weird. There’s a reason for that. I forgot to take a screenshot when I got 2 stars in Level 6, and discovered that as I was putting together this blog post. So, I went back into the game and played Level 6 a few times until I got 2 stars again. The game wanted me to earn 3 stars, so it looks as though the screenshot is both a success and a fail. It was better than not having any screenshot at all. Level 6 introduces a recipe for a Veggie Sandwich. The strange thing about the timing of this recipe is that players who got this far have already been making Veggie Sandwiches. The game didn’t give that recipe a name until now. The Roast Beef Sandwich, and the Turkey and Cheese Sandwich, both require a Veggie Sandwich as part of their recipes. The only new thing here is that players can now serve a Veggie Sandwich to customers who are indecisive about what they want. It’s fairly quick to make. 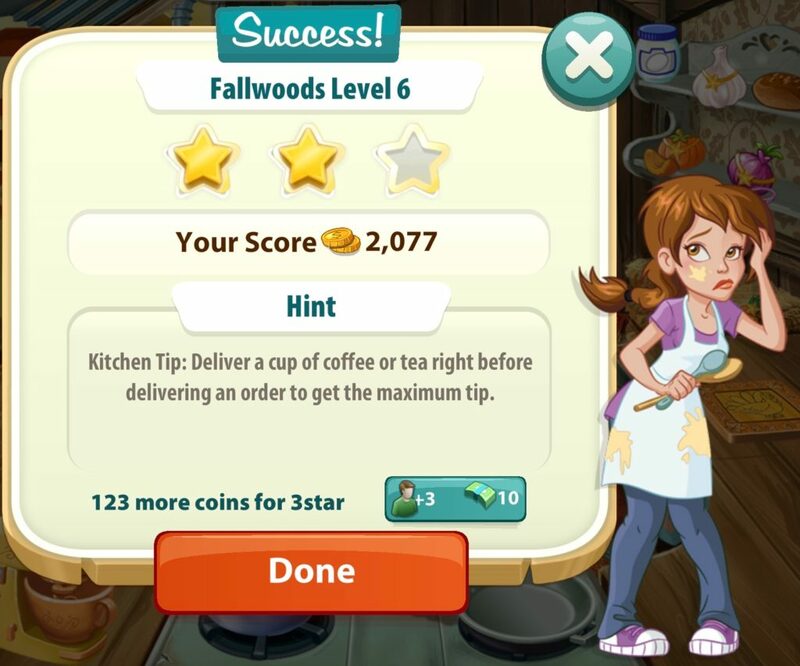 I got 2 stars in Fallwoods Level 7. This is what the food truck looks like in later levels of Fallwoods. I forgot which level it was. Pepper looks a bit overwhelmed in this screenshot, probably because she wasn’t able to serve 5 turkeys to customers before the time ran out. 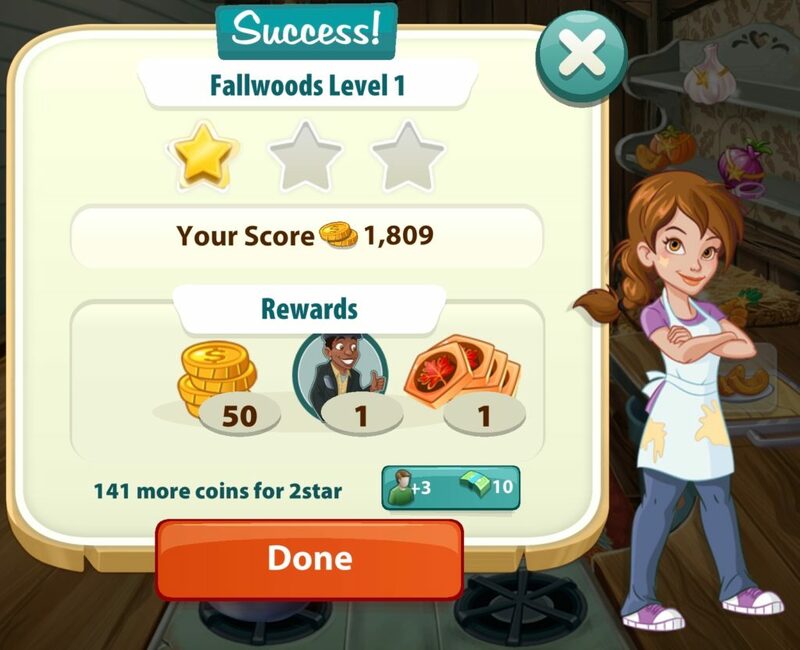 I got 1 star in Fallwoods Level 8. It was the best I could do. This might be the toughest level in Fallwoods. 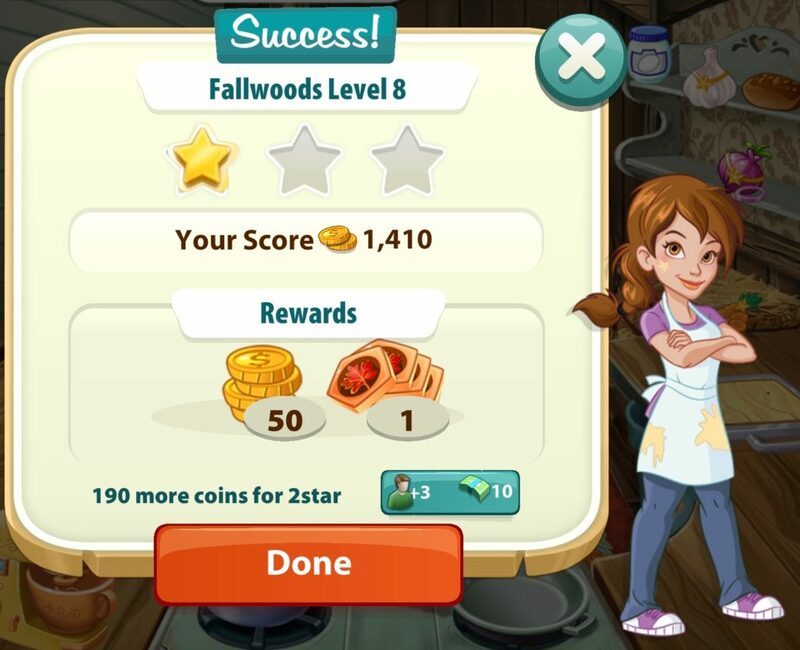 I got 2 stars in Fallwoods Level 9. Every little bit helps! 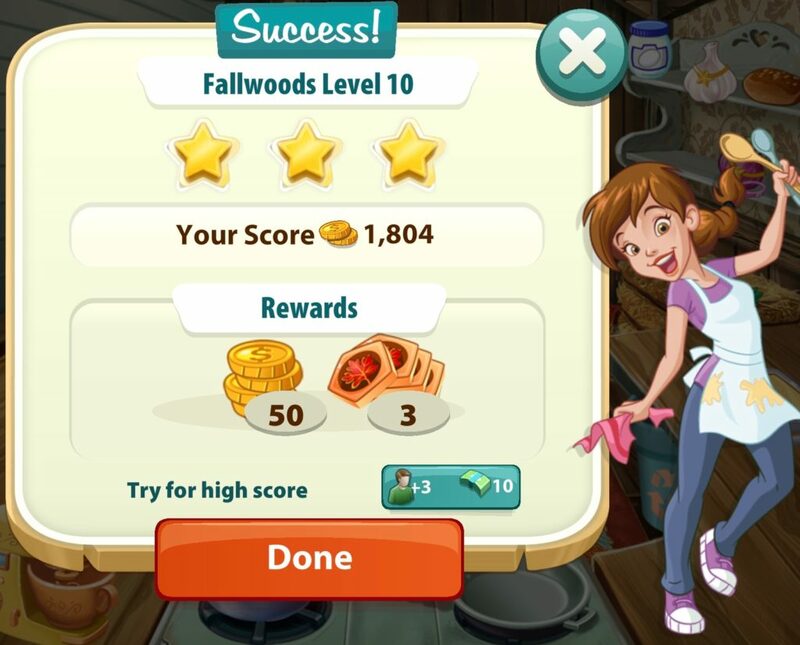 I got 3 stars in Fallwoods Level 10! It is the last level in the Fallwoods town. Chef Crisp: I am so happy to see you Pepper, taking time out of traveling. Your food made a great Thanksgiving! Once again, there is a typo in the script. The game has “travelling” instead of “traveling”. It is sloppy, and I don’t know why no one spell checked it before it was added to Kitchen Scramble. Pepper: Thank you, it was wonderful having everyone for food. Chef Crisp: *burp* You are getting better at this, i think it is time for me to retire. Yet another typo appears! The letter I should always be capitalized when it it being used as a pronoun. But, the game has it lower case, which is entirely incorrect. 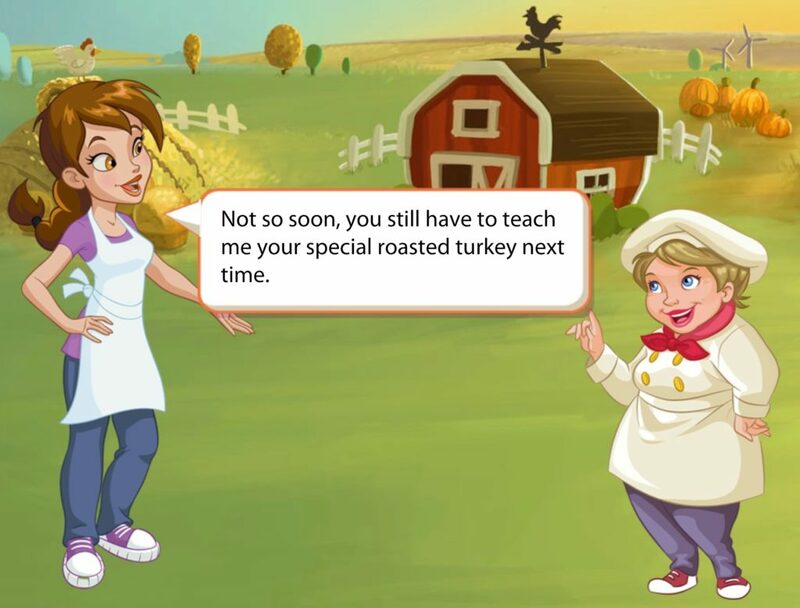 Pepper: Not so soon, you still have to teach me your special roasted turkey next time. 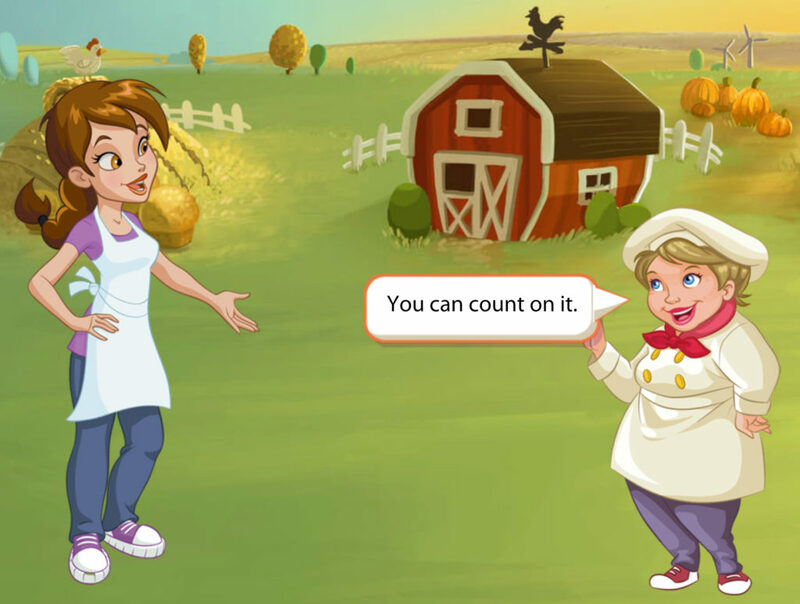 Chef Crisp: You can count on it. Here is what Fallwoods looked like after I had gone through the second Token Gate. That one, like the first one, required 10 special Fallwoods Tokens. 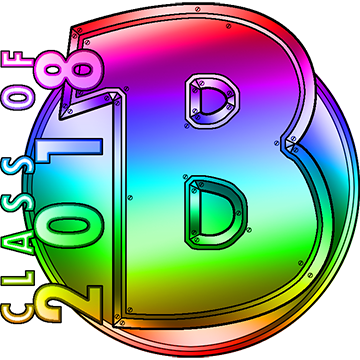 Passed Token: Congratulation! 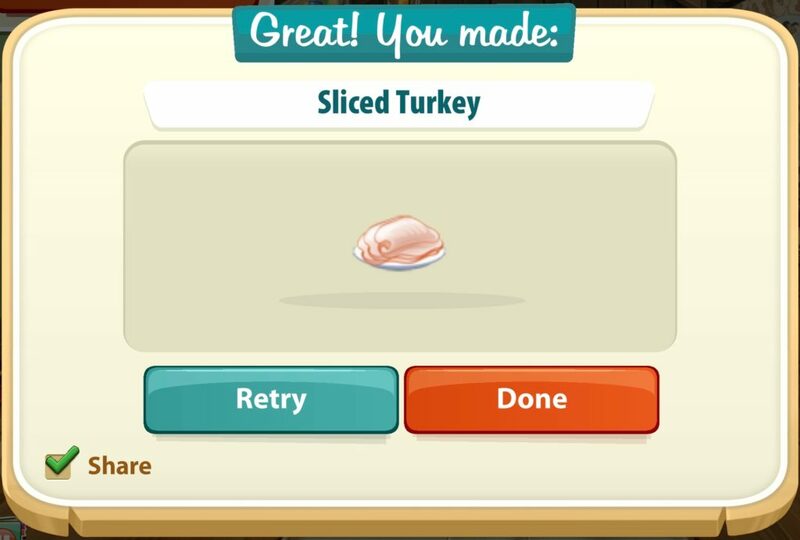 You Unlocked Thanksgiving Combine Board! Fallwoods is not easy to complete. 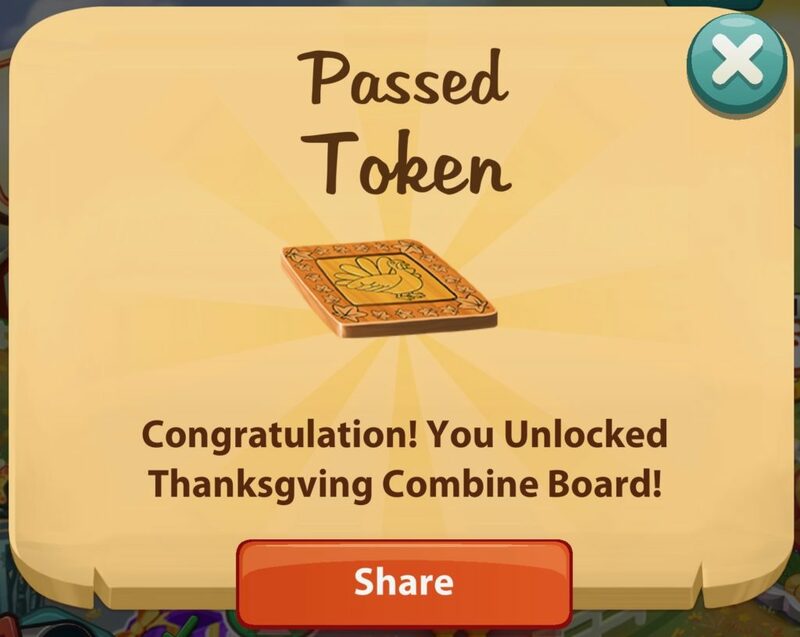 It is worth the effort to obtain the Thanksgiving Combine Board. 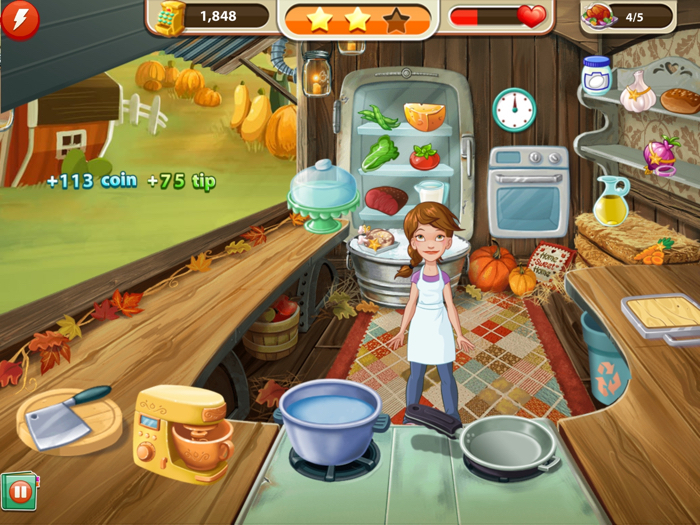 This special appliance follows the player out of Fallwoods and into regular levels of the game where a Combine Board is required. Best of all, the Thanksgiving Combine Board is fast! 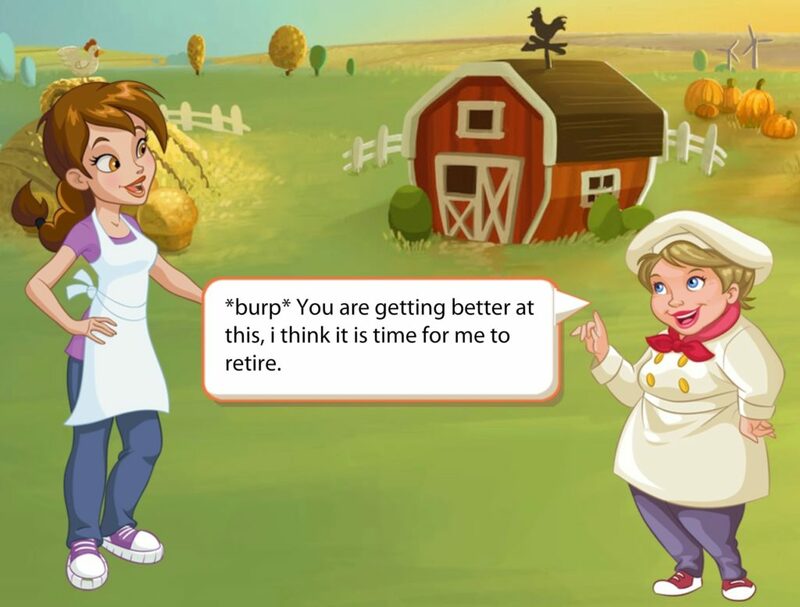 I am unlikely to spend Kitchen Cash (which can be earned as a prize, or purchased with real-world currency) to upgrade the Combine Board past this point. Here is one example of the Thanksgiving Combine Board appearing outside of Fallwoods. It is right over there – in a level of Molassissippi. It replaces whatever Combine Board you were using before you got the Thanksgiving one. 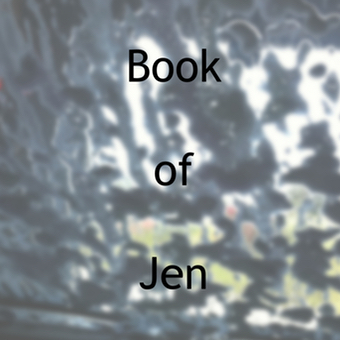 Kitchen Scramble App: Fallwoods is a post written by Jen Thorpe on Book of Jen and is not allowed to be copied to other sites.